Accordingly, Sa Pa ranked 7th and Da Lat ranked 8th. 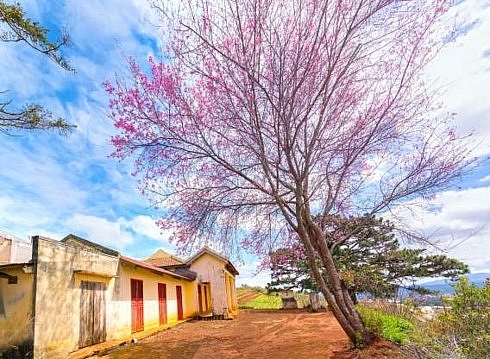 Meanwhile Da Lat was described “Also known as the ‘Kingdom of Flowers,’ the region has several varieties in abundance, including wild sunflowers, phoenix, cherry blossoms, mimosas, Mexican sunflowers and white orchids”. Da Lat, situated 1,500 meters above sea level in the Central Highlands, came in at number four in the top 10 list of rising destinations in Asia and Sa Pa in the northern highlands was at number six. Given various nicknames such as the city of eternal spring, the city of flowers and the city of love, Da Lat is recommended for providing a cool respite from Vietnam’s year-round hot weather. The former colonial resort town is full of beautiful French-era buildings and surrounded by pine trees, flowers and vegetables farms. In January, the New York Times also recommended Da Lat among 52 places to visit in 2016, describing it as “an agricultural El Dorado” with unique scenes of pine forests, locally grown avocados, and artichoke tea. Meanwhile, around 2,000 kilometers to the north is Sa Pa, known for its trekking trails. The colourful town is recognised as a perfect oasis for travellers interested in mountain trekking or visiting the terraced rice paddies. Tourists can visit the Saturday night “love market,” the Gothic stone church at the town centre which is a reminder of the French missionary influence, and many downtown Vietnamese and European restaurants. Other top ten ranking destinations included Mountain Fuji, Japan; Ngong Ping Plateau, Hong Kong (China); Jeju Island, the Republic of Korea (RoK); Bangkok, Thailand; Hapcheon, the RoK; Taroko National Park, Taiwan (China); and Pokhara, Nepal.